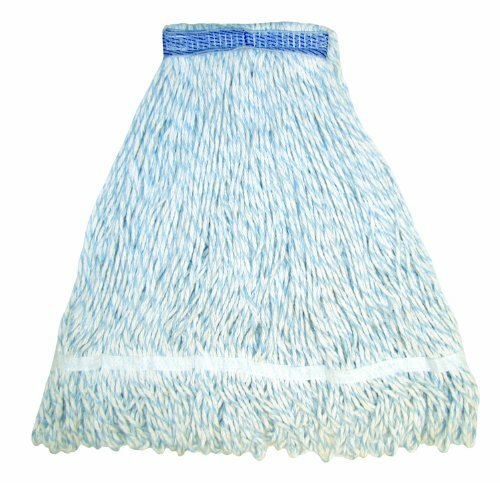 Economical looped-end finish mop is constructed of a durable, 4-ply rayon blend yarn that releases more liquid for a faster, smoother finish than possible with a conventional mop. It is ideal for applying sealers and disinfectants. Blue and white "candy cane" striped yarn keeps mop looking new. 1-1/4" Tape band.